It's all about chunky knits everywhere we turn! For "us" knitters and crocheters it's instant gratification! Super easy and fast projects that knit up in just a few hours. Chunky is hot! Everyone is doing it! Well what about Arm Knitting? 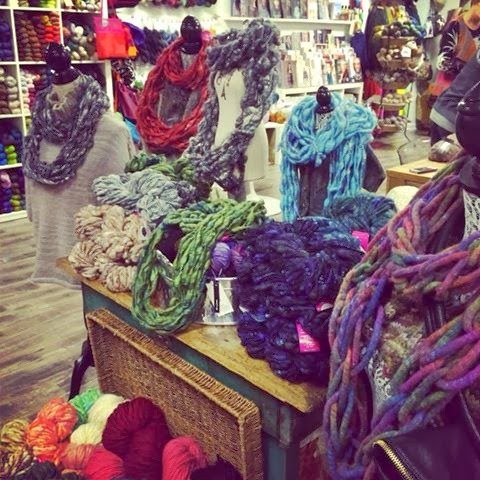 We have been going gaga over the last few weeks arm knitting. You can arm knit a cowl or scarf in less than 15 minutes! The perfect gift for teachers, friends, co-workers, family, or be selfish and make one for yourself! There are several youtube videos floating around to help show you how to arm knit! All you need is 1 skein of this, cast on 4 stitches knit till the end. 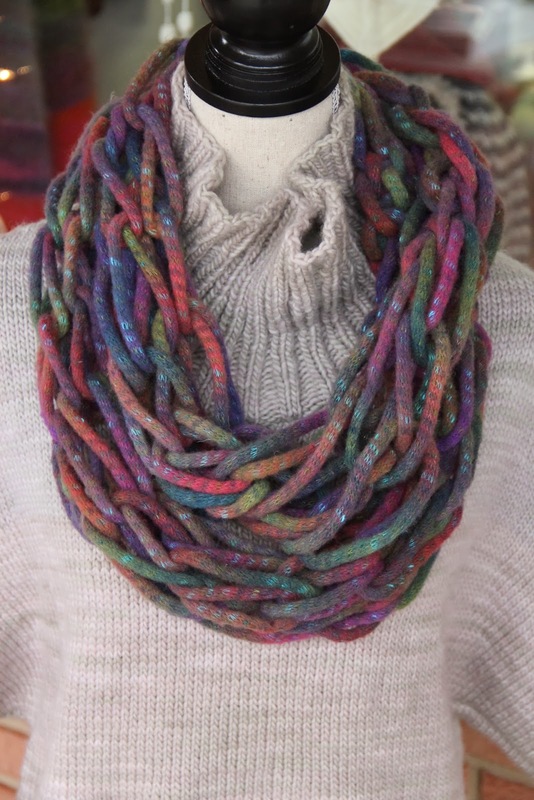 You can also use 1 skein of Knit Collage Pixie Dust or Sister by Knit Collage. And yes you need to bind off and sew together! 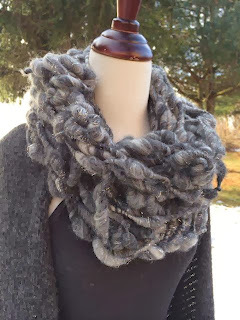 Or if you don't want a cowl you can sew in the ends and wear like a scarf! It's that easy!!!! 1 skein of this chunky yarn makes a fabulous gift! 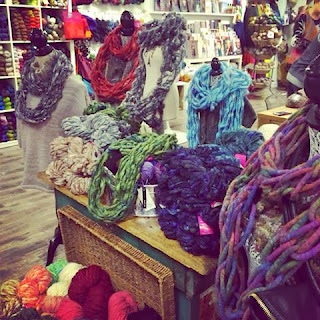 1 skein of Pixie Dust makes this arm knitted cowl. Cast on 4 stitches! There are many colors and choices to choose from! Stop in and we would love to help you!